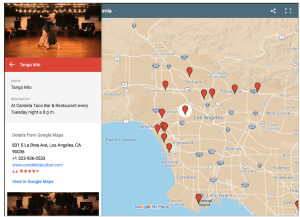 For me, my favorite places to dance are Milonga El Floridita in Hollywood, El Encuentro (The Tango Room) in Sherman Oaks and Milonga Querida in Alhambra. 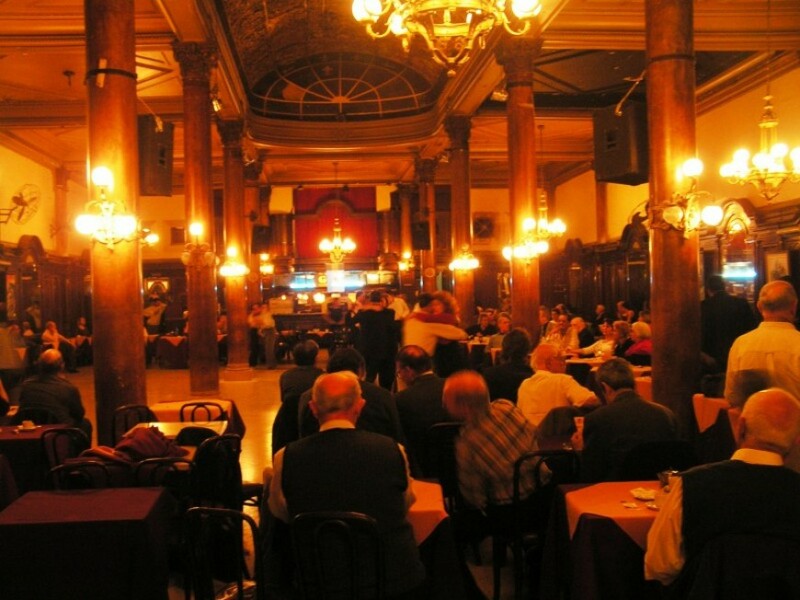 El Floridita and The Tango Room offer great ambiance, although they are very different. 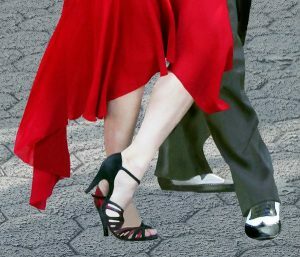 El Floridita is a Cuban restaurant that normally hosts salsa bands and dancing, until Eric Dandridge and Laura Mingo brought tango there on Wednesdays almost a year ago. The small, cozy room with twinkling lights and red decor make it a unique environment similar to that of some places in Buenos Aires. That Eric and Laura are such great hosts, adds to the fantastic atmosphere. 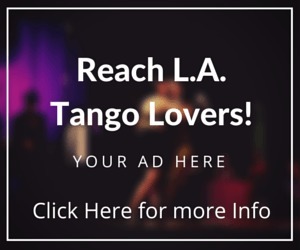 The Tango Room, or El Encuentro, is one of the longest running milongas in Los Angeles. I first went there (at its previous location on Van Nuys Boulevard) when I first learned to dance. Immediately I felt I belonged; not because any particular person was outwardly friendly toward me, but because it provides what every tanguero needs. This was a place for tango dancers, who want nothing else but to have a place for great music, a decent floor and people of all skills with whom to dance. The fact that they offer a great buffet of appetizers and desserts and drinks is negligible (for me anyway); I would go without it. It is nice, however, to have some Perrier and a snack of crackers and cheese if you haven’t had time for dinner beforehand. Every Saturday night you can get your fix. 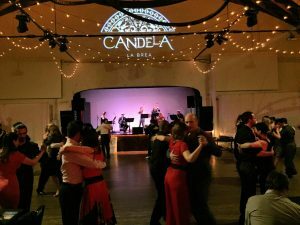 Milonga Querida is a newer venue, hosted by Varo and Yuliana, and is a bit out of the way for Western located tango dancers. But it’s worth the drive. Located at the Granada nightclub in Alhambra on the third floor, it has a decent sized floor (albeit a bit sticky because the management doesn’t seem to clean the floors there, and frown upon any kind of dance powders), a nicely lit space and a bar at hand. Always great music, people and sometimes they have guest instructors and performances. 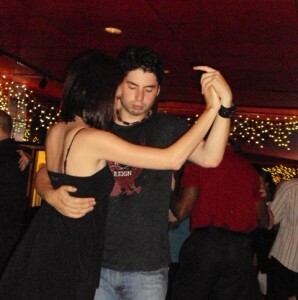 For a break, you can head downstairs for some salsa! Check out our Milongas & Practicas page for day, time and location info.